Tom Hardy might not be the only Inception cast member with a role in Christopher Nolan's next Batman film. Christoper Nolan ended speculation on Tom Hardy's part in Dark Knight Rises by revealing that he would play Bane. It's time to cue up some more speculation, because apparently another Inception cast member is in talks to take a role in Rises. Deadline reports that Joseph Gordon-Levitt, Leonardo DiCaprio's partner in Inception, will likely show his face in the movie. 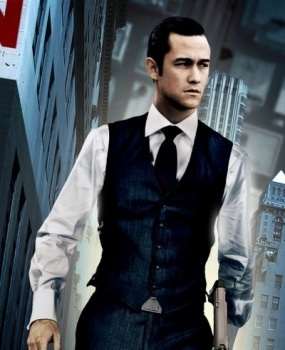 Rises is expected to start production in spring 2011, and Gordon-Levitt should have his schedule free by then. Let's start the speculation about his role on a strong foot: Robin. Nolan confirmed that there won't be any Robin in Rises you say? How about Aquaman, then? No? Well, perhaps Gordon-Levitt will take the role of Hugo Strange that was originally rumored to be Tom Hardy's part in the film. Nolan also ruled out the Riddler as a character in Rises, a role you'd think Gordon-Levitt would be perfect for. With Bane and Ann Hathaway as Catwoman already in the mix, maybe he'll play a normal human and won't be a costumed hero or villain. I'm sure we'll hear plenty of rumors to the contrary until Nolan reveals the truth.